Don’t wait booths spaces are disappearing daily! Meet face to face with hundreds of women armed with the buying power to purchase great products and services. The Vancouver Women’s Show is the ultimate showcase for the latest products and services for women and families, including the very best shopping, beauty, health, nutrition, fitness, financial planning, home decor, children’s products and more. Don’t miss this opportunity to exhibit your products and services to hundreds of ready-to-buy consumers, all gathered at this unbelievable event for two fun-filled, interactive days. Not only do women represent 85% of consumer spending but they are considered the world’s most powerful consumers! In today’s economy, maximizing marketing dollars is a concern for all businesses. Our extensive media campaign includes radio, television, newspapers, magazines, social media and the internet. Exhibiting at the Vancouver Women’s Show offers one of the most cost-effective means of exposure to your target audience in a fun and relaxed environment. Face to face advertising provides you with the ultimate opportunity to further broaden and brand your business in a positive and effective marketing environment. Studies have shown that when consumers can touch, taste, see, feel and try your product or service, they will become a customer for life. Here’s a great opportunity to demonstrate your products, create brand awareness, build your database, sample your products, distribute new information, maintain relationships and to generate new leads! Targeting ALL of Vancouver, Portland and beyond. The Vancouver Women’s Show marketing and advertising plan encompasses a 75-mile radius surrounding Vancouver, WA produced by the team at Microtarget Marketing, who have garnered a successful track record for creative advertising and securing multi-media partnerships that deliver results. Maximize your marketing budget and time by allowing our advertising campaign and marketing expertise to help provide you with solid leads, build relationships, and sell to pre-qualified, interested, and motivated women consumers, all at the Vancouver Women’s Show! Your booth investment will create a profitable return on your time and money for years to come. How many Exhibitors in the show? While it varies each year, we have approximately 80+ of the areas best health, wellness, beauty, shopping, mind, body, spirit, money, home, food, travel and vacation planning exhibitors displaying at the show. If you have a business or service that women would be interested in, the Vancouver Women’s Show at the Clark County Event Center is the perfect place. How often does your business have the chance to be in front of thousands of women in two days? We work hard to ensure that exhibitors of similar categories are as spread out as possible, ensuring that you don’t have neighboring competition, and they you aren’t fighting over potential clients interested in your service. This creates a better experience for you and those in attendance. For that reason, you are not able to request a specific location unless you purchased a corner. Your booth number and location will be given to you the day of the event. As you near the date of the Vancouver Women’s show, all exhibitors will receive specific instructions for unloading, parking, directions, etc. This information will be sent out via email. If you are interested in becoming an exhibitor at this event, download the application below. 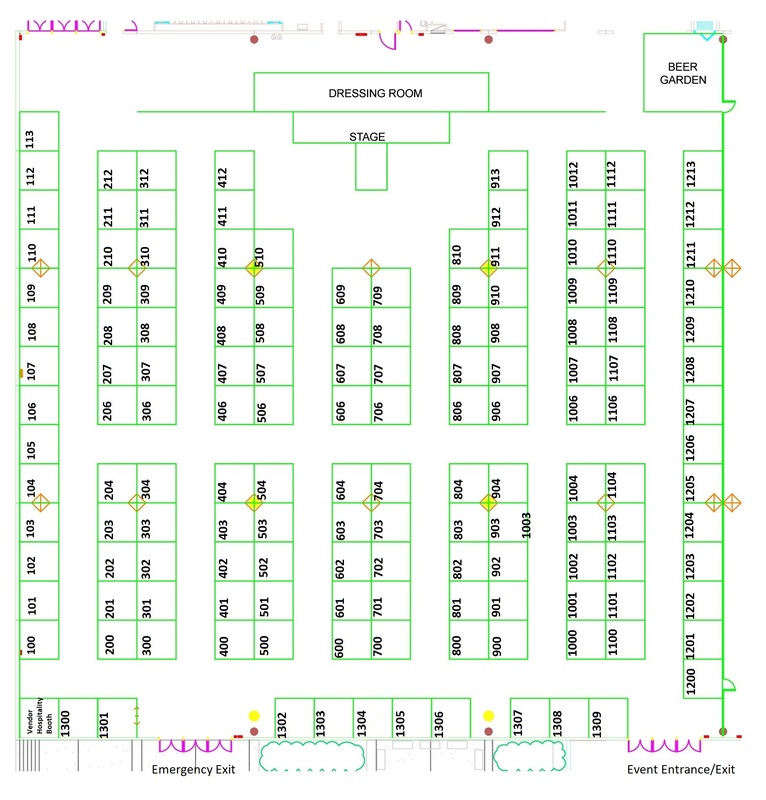 Download our updated floor plan, to find the location of your booth at the show.